IF YOU'RE LOOKING FOR QUINTESSENTIAL SOUTH END, YOU'RE IN THE RIGHT PLACE. Front Porch Sundays was the dream of Terry Shook of Shook Kelley. He felt his property, in the heart of South End, was underutilized on the weekends. He imagined a Sunday event where banjos were playing, coffee and mimosas were flowing, and newspapers were in the hands of everyone in attendance. Since his original plan, Front Porch Sundays has organically grown to host 70 local businesses in an open air market. On the first Sundays you can find multiple food trucks, mobile shops, live music, and fun happenings at Sycamore Brewing. Our mission to to provide a consistent platform for Charlotte’s and the surrounding area’s micro-retailers to sell products to the Charlotte consumer, to provide continued support and resources to businesses who work with Front Porch Sundays, and to grow the Front Porch Sundays brand as a organization of incubation, community, and local support. Where is front porch sundays located and what time is it? We pop up on the first Sunday of every month in the parking lot of Sycamore Brewing from 11a-4p. Front Porch Sundays is free to attend. Yes! We're very dog friendly, but we do ask that you keep in mind how hot the asphalt is on their paws! Before you leave the house, put your hand on asphalt that's in the direct sun. If it's too warm on your hand, it's too hot for their paws. Vendors are not cash only and accept most credit cards, but cash always goes farther than a card. Some vendors allow a small cash discount. What's the easiest place to park? Shook Kelley, Inc is our designated lot. If that’s full, there is a gravel parking lot just across the street from Sycamore Brewing that costs just $5 to park. There's also on-street parking all along Hawkins and on Tremont. Other forms of transportation to The Porch include biking, scooting, or walking on the Rail Trail, the Light Rail (get off at the East/West stop and walk just a few blocks away from the city) and Uber/Lyft. How many vendors setup at the market? There are 67 tented vendors, 3 food trucks, and 2 mobile shops at The Porch. What are the dates and time is the event? The event is the first Sunday of every month from April through November. We operate between 11a and 4p, with load-in beginning no earlier than 9a in assigned shifts. what type of vendors do you look for? We currently only work with small businesses from across Charlotte and the surrounding region. We don't work with chains, big box stores, or direct sales representatives. We are constantly looking for vendors with great branding, a well-known presence, and a unique product and presentation. Booth spaces are $85 for a 10x10 space, and $85 for anything larger (food trucks or mobile shops). Front Porch Sundays provides the overall event and the foot traffic. All vendors must provide their own setup, including the required tent and any tables or chairs you may need. We do not provide wifi. In a broader sense, we have the right to choose which vendors are marketed via our social media channels, but you will be included on the Facebook event page. You'll also have priority registration in any educational events we host. 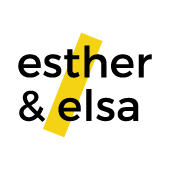 A tent, table, and chair can be rented from Esther and Elsa Retail for $50 per event. It will be setup prior to your arrival. When do applications come out? Applications currently go out one time, approximately three month prior to each market date. You have one week to apply past the date of the application, and one week to pay once you've received your acceptance. Failure to pay on-time or to provide a reason for a late payment, means your space will be passed to someone on the waiting list. We generally have an average of 50 businesses on our waiting list for each market. The waiting list is notified if there is a space for them a week after acceptances go out and have two days to pay their $85 vendor fee. How are vendors chosen for a market? The first vendors accepted are the ones that best fit our brand and what attendees are looking for. We look for vendors that target a millennial customer who sell an affordable product. We then look at past sales numbers (if applicable), if you've participated in the past, your social media following, and the number of vendors in a specific category. We try our best to have an appropriate number of vendors in each category and do not guarantee exclusivity of a category. Do I have to be a registered business within the state of North Carolina? Vendors are required to do what they need to to legally sell in the state of North Carolina. Please visit www.nc.gov for more information. Yes, we require our our vendors to accept credit cards. Is there wifi or electricity for vendors? We do not provide wifi at this time and electricity is available upon request on a very select basis. Generators are allowed upon approval and must be silent. If you want to receive applications, click the yellow button below! Here you’ll receive applications and opportunities once a week.